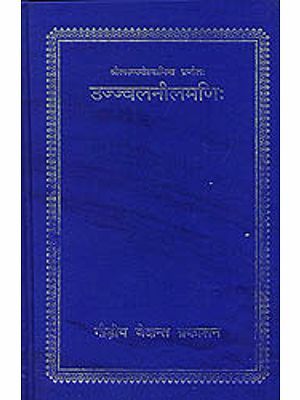 Ujjvala-nilamani is a supplement to Bhakti-rasamrta-sindhu. 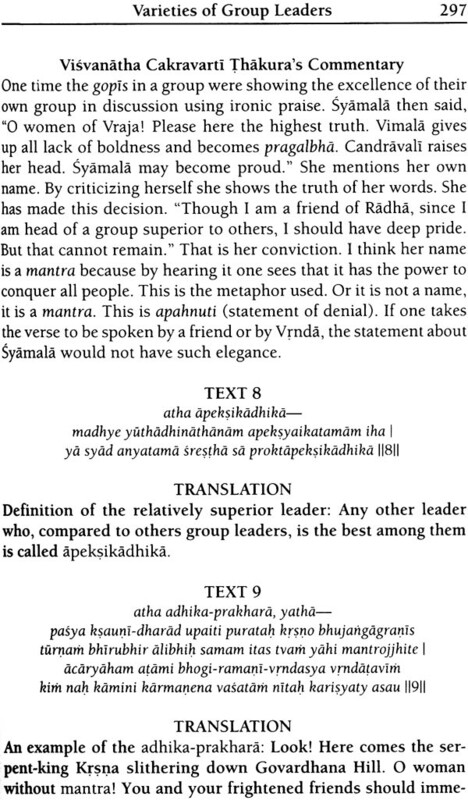 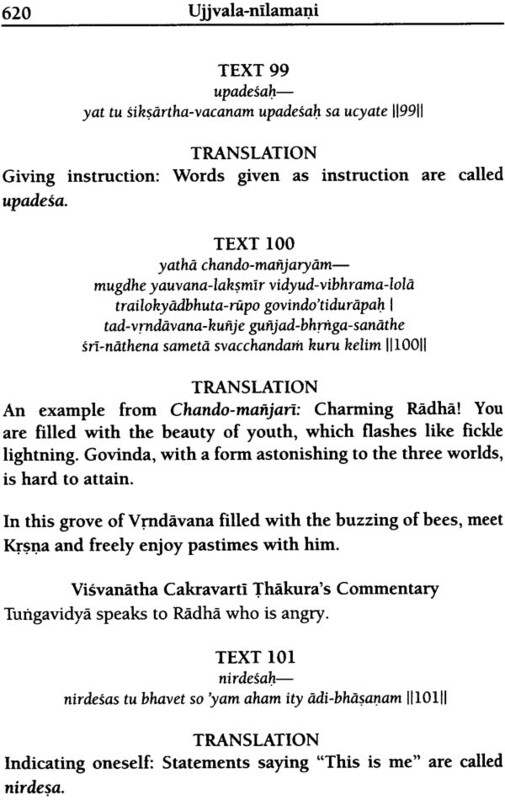 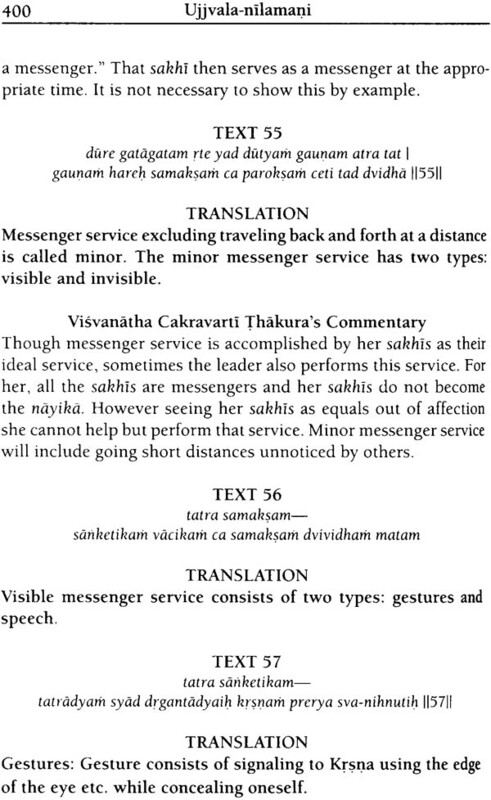 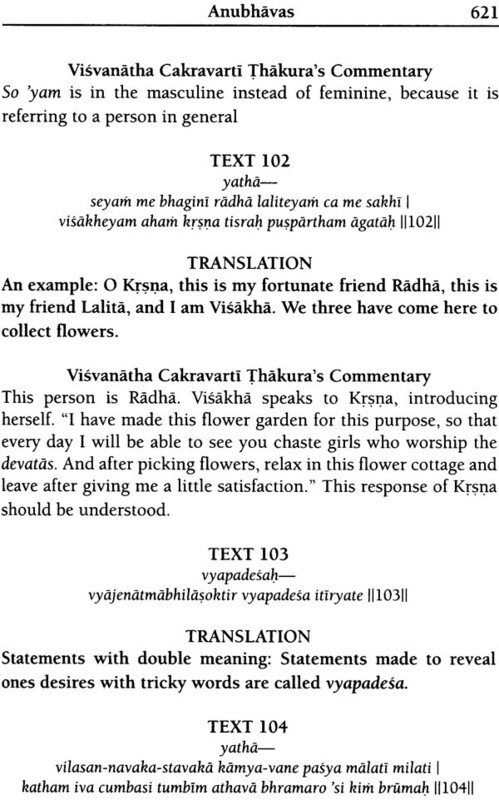 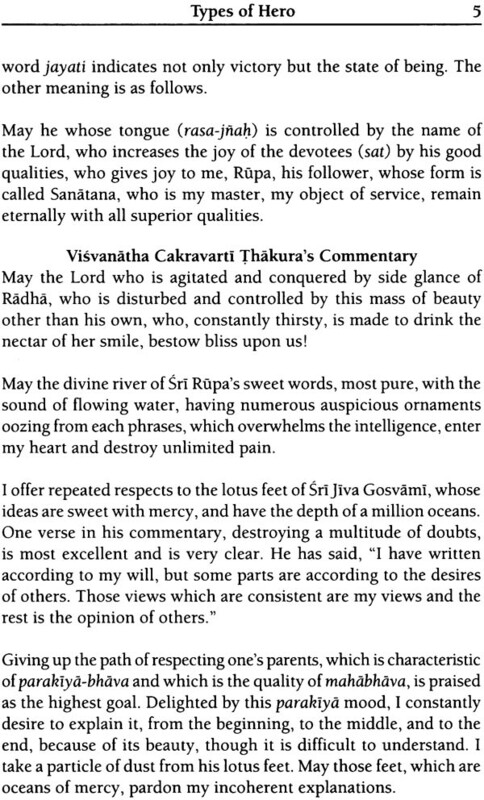 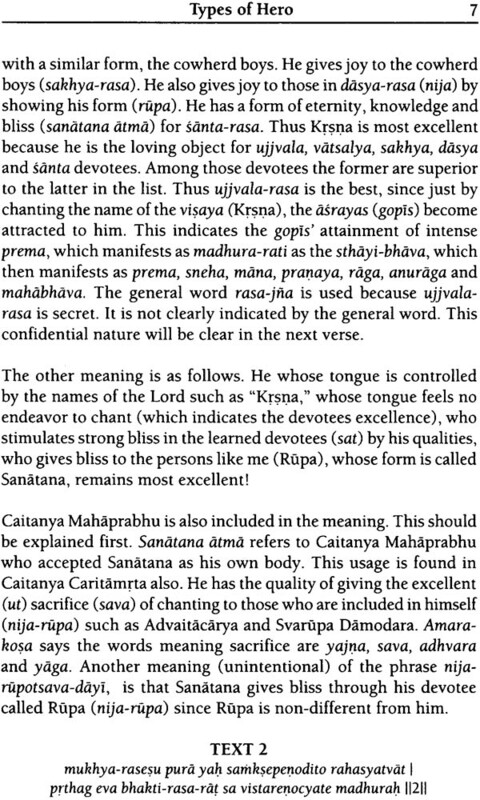 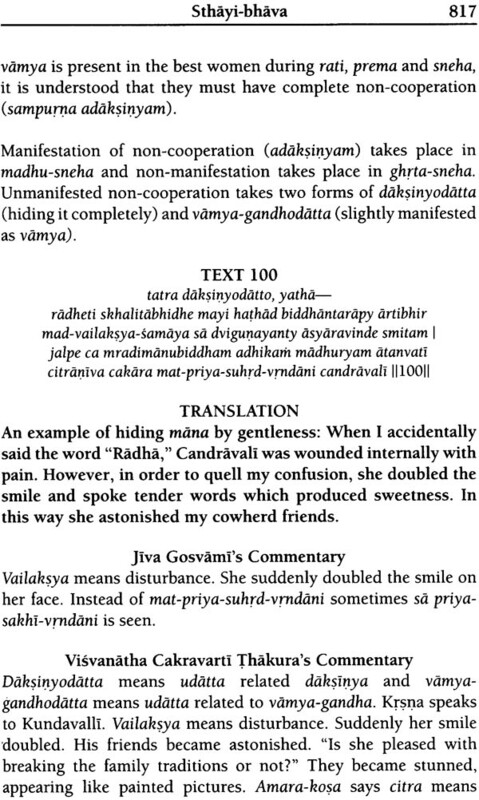 Bhakti-rasamrta-sindhu describes all the rasas, but describes conjugal rasa only briefly. 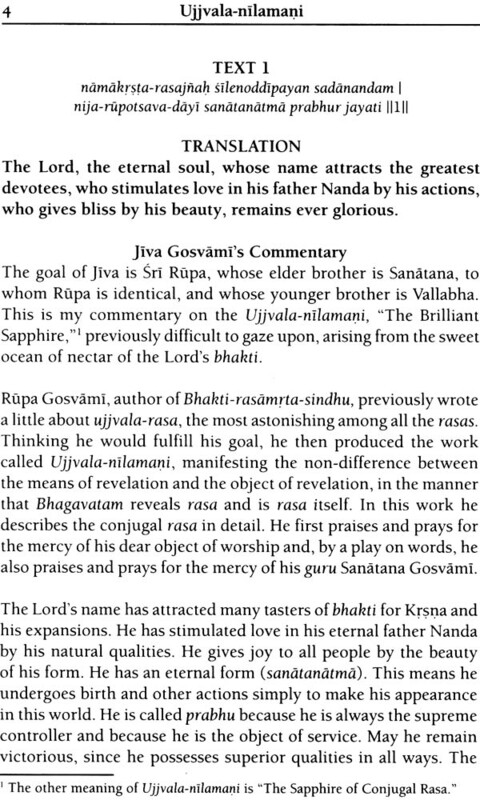 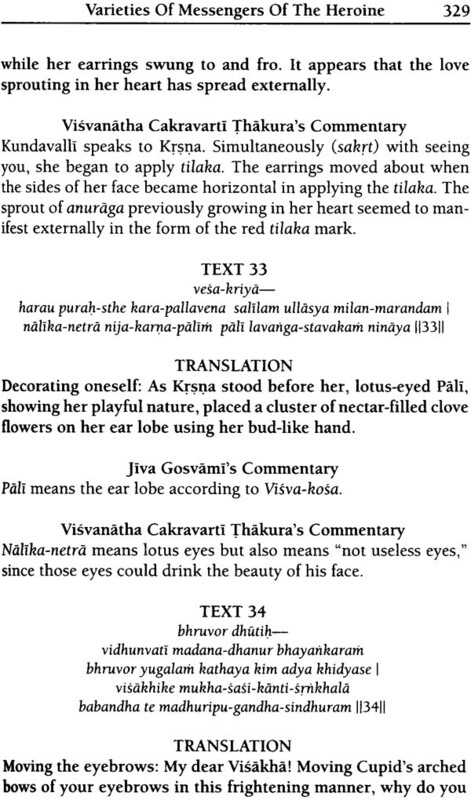 Ujjvala-nilamani describes conjugal rasa in great detail, following the general pattern of analyzing vibhavas, anubhavas, vyabhicari bhavas, sattvika-bhavas and sthayi-bhavas. 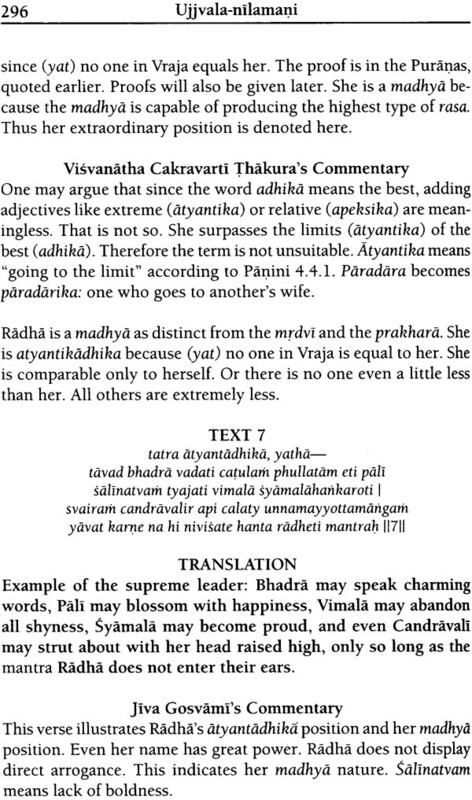 Parakiya and svakiya forms of love are discussed. 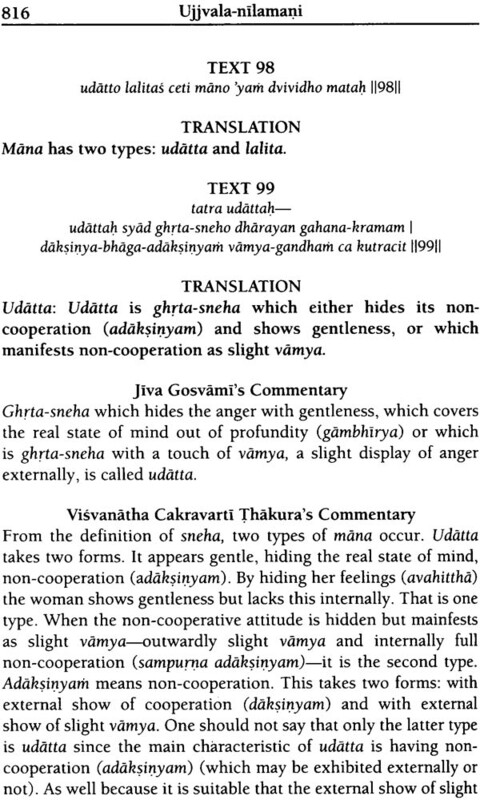 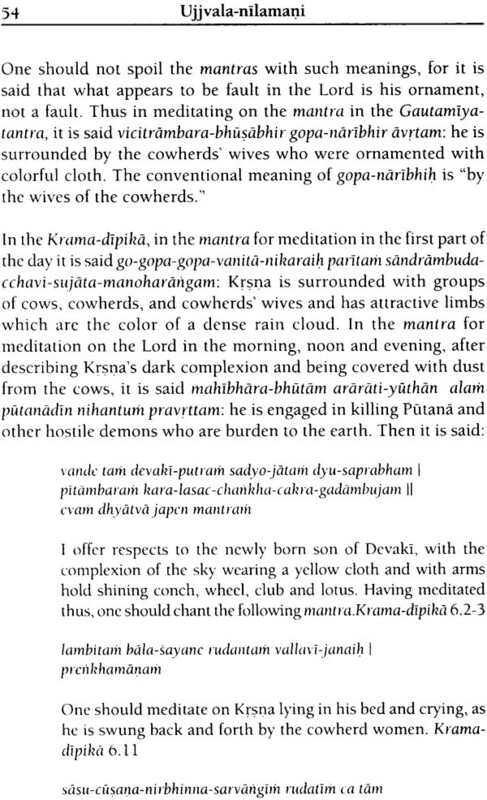 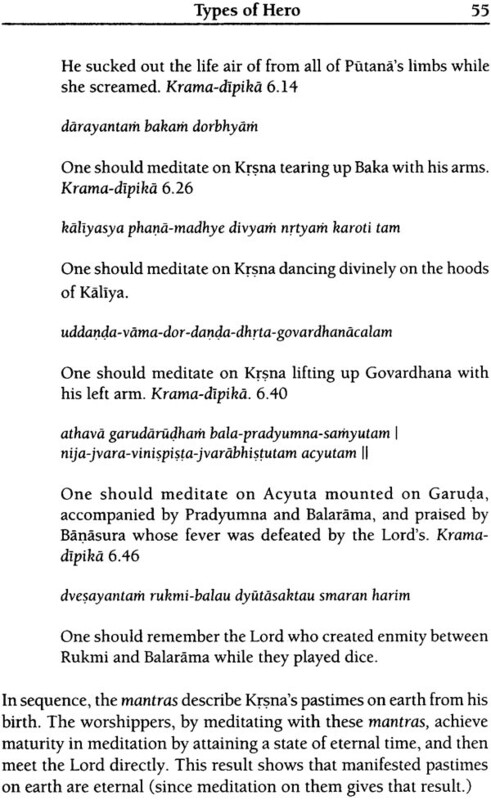 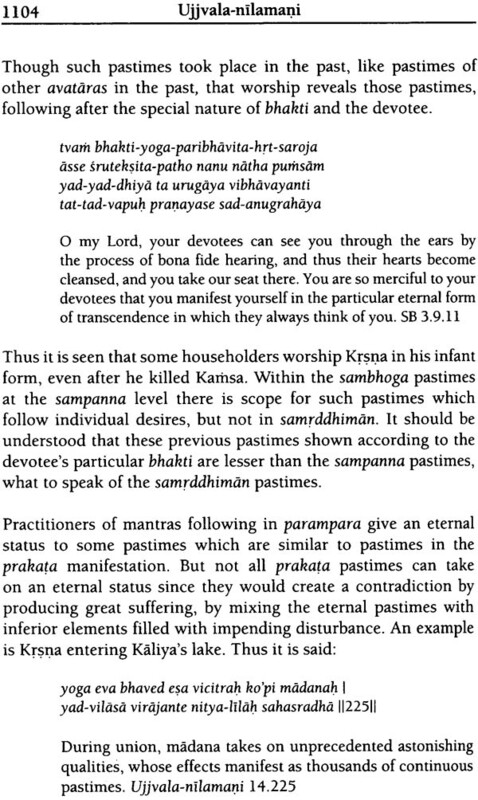 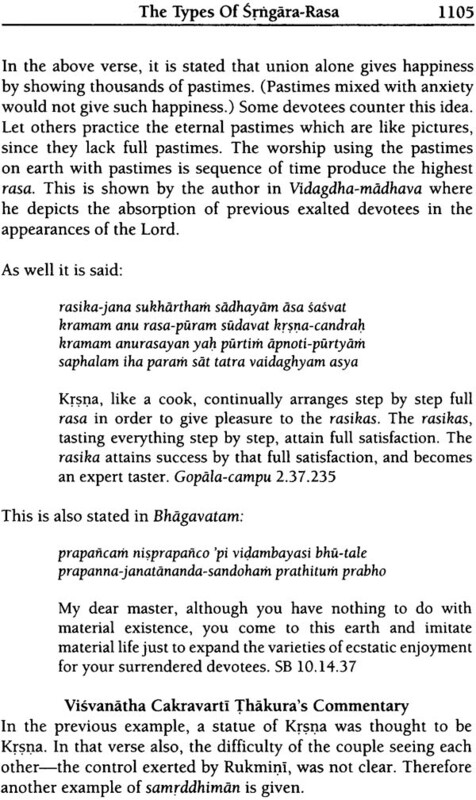 jiva Gosvarnt in his commentary justifies svaklya whereas Visvanatha Cakravarti accepts parakrya as stronger.